Mon Apr 29, 2019 at 9:00 a.m. 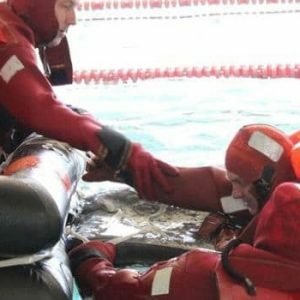 This is a series of FOUR COURSES that have been approved by the U.S. Coast Guard to meet the Basic Training requirements under STCW, As Amemded 2010. If you do not need all four courses, please sign up for the ones you need individually under the “Courses” tab. Swimming attire is required for pool portion of training. For more information, visit the Basic Firefighting Overview. For more information, visit the Personal Survival Techniques Overview. For more information, visit the Personal Safety and Social Responsibilities Overview. For more information, visit the First Aid and CPR Overview.